In this article I will be writing about how to get rid of spider veins and information on what can relieve pain and discomfort. Most individuals who are 50 years or older may experience spider veins on their legs which can become very swollen and have a raised appearance on the skin. When you have spider veins on your legs they can be dark blue or purple in color and it is important that you get treatment straight away as if untreated it can cause many health problems and may cause severe pain. If you have a lot of spider veins on your legs or thighs it can also cause blood clots and also bleeding under the skin, if this occurs it is extremely important to see your family doctor. There are many factors that may increase your chances of getting spider veins such as obesity, smoking, excessive standing, bad circulation and also older aged individuals. Getting spider veins does often run in the family and it mostly occurs in women. If you suffer from allergy symptoms of the skin, you can also get spider veins on the face especially if you have fair skin. Natural spider vein treatment for legs has been shown to be effective in treating this type of condition, here are a few natural home remedies that you can apply which can help with your spider veins. Bilberry Extract: This vitamin can help make your veins much stronger and also help reduce pain, swelling or throbbing in the legs or thighs. Grapeseed Extract : To improve circulation it is highly recommended that you take grapeseed extract regularly. Ginko Biloba Extract : Also helps to improve circulation and get regular blood flow. Vitamin C : Highly recommended as it can increase circulation in the legs and it is important to find a vitamin C that contains bioflavonoids which can help strengthen your capillary walls to reduce symptoms of spider veins. Skin care creams that contain horse chestnut, grape seed and Japanese pagoda tree are effective in getting rid of ugly spider veins on the skin and also helping strengthen the vein walls. Finding natural creams will also give you no side effects and is gentle on your skin and body. If you experience a lot of pain, you may want to try taking evening primrose oil which can help reduce swelling and it should be taken every day to help with your pain. 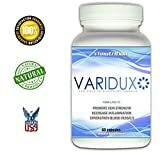 By reducing the causes of spider veins on the body, you have a better chance of not getting spider veins and experiencing pain and swelling on your legs or thighs.I hope my article on how to get rid of spider veins has given you a better understanding of what natural treatments and supplements can help. 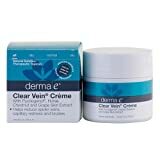 An amazing new spider vein natural cream is Venorex, this is a injection free solution for clearer looking skin and is made from a formula that provides a natural alternative rather than expensive laser treatments. 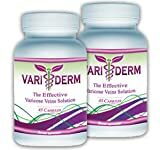 It is ideal for all skin types and has a non greasy formula and contains 8 times more natural botanicals to help treat spider veins or varicose veins.